Biofortification is at the forefront of efforts to address hidden hunger, the consumption of a sufficient number of calories, but still lacking essential nutrients such as vitamin A, iron or zinc. Biofortification increases the amount of vitamins and minerals in a crop through conventional plant breeding or agronomic practices, and can generate measurable health and nutrition improvements in consumer populations. Researchers from the International Maize and Wheat Improvement Center (CIMMYT) have recently published two studies that comprehensively review current breeding strategies for biofortification of maize with zinc and provitamin A that provide a working outline for maize breeders. The provitamin A study was developed with researchers from the University of Agriculture Faisalabad, Pakistan. Through strategic breeding, biofortified crop varieties are not only nutritious, they are also high yielding and climate smart. There are now 290 varieties of 12 biofortified crops – including maize, wheat and potatoes – being grown in 60 countries, reaching an estimated 10 million farming households. Alongside a review of conventional approaches, the authors include an evaluation of emerging genetic engineering technologies that have the potential to accelerate genetic gains from biofortification breeding programs. Almost one-third of the world’s population is deficient in zinc and more than half of pregnant women and children suffer zinc deficiency in developing countries. Zinc plays a crucial role in pregnancy and child development, is important for mental health regulation and is vital to maintaining a healthy immune system. Vitamin A deficiency is a widely prevalent health problem affecting children and women in developing countries. It affects 190 million children globally and is the leading cause of preventable blindness in children, also compromising the immune system and increasing the risk of death from diseases like measles, diarrhea and respiratory infections. Of the many intervention pathways to improve micronutrient deficiency, biofortification is the most sustainable, feasible and cost-effective, especially for populations that may have limited access to diverse diets and supplements, which require continuous financial outlay. Maize is an important staple food for 900 million poor consumers, including 120-140 million poor families in regions of the world where micronutrient deficiency presents a serious health concern. Targeting this crop for biofortification is a convenient solution with high capacity for impact. 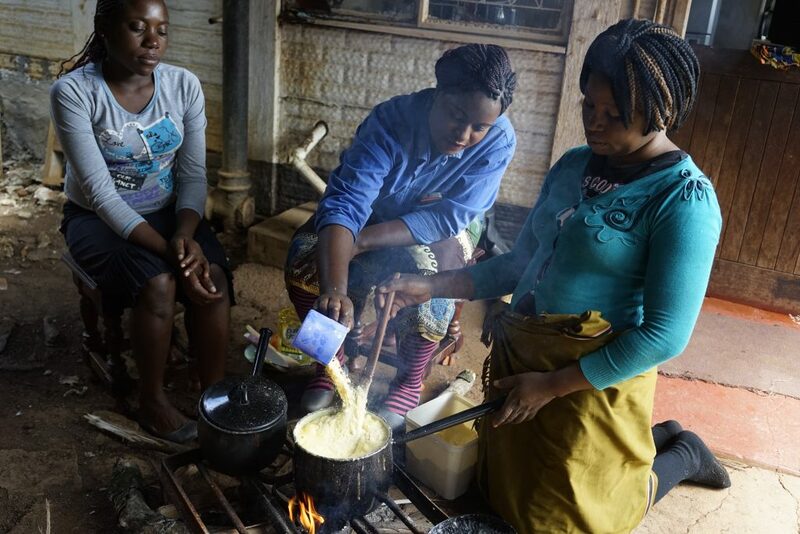 Furthermore, since micronutrients like provitamin A and zinc occur naturally in maize, consumers do not have to make any behavioral changes to achieve improved nutrition from biofortified maize. The authors also mentioned ongoing efforts by CIMMYT and partners to identify and deploy best adapted biofortified maize products in Africa and South Asia. Both studies stress the importance of incorporating a range of breeding strategies in order to capture the full potential and range of variability for traits of relevance to the biofortification process. Zinc biofortification can be achieved via agronomic, breeding and molecular approaches. The authors highlight the convenience of agronomic tools such as seed priming with zinc solutions, foliar sprays and soil applications and stress how benefits are enhanced when these tools combined. Zinc concentration in maize kernels can be increased through conventional breeding involving hybridization and selection, and the bioavailability of zinc – the amount of zinc available for uptake into biological pathways – can be enhanced using molecular methods. Provitamin A biofortification involves conventional breeding to provide higher levels of carotenoids, a naturally occurring plant pigment found in maize and other foods such as carrots, that the body then converts into vitamin A, acting as an antioxidant to protect cells. The authors review a wide range of breeding strategies including estimation of genetic variability, introduction of exotic germplasm, stability analysis and hybridization. Marker-assisted selection for desired alleles during breeding is highlighted as an approach that can accelerate the genetic gain and increase the total concentration of provitamin A content. Research to understand the genetic basis of both zinc concentration in maize kernels and carotenoid biosynthesis pathways is ongoing. In both studies, the authors highlight the potential of genetic engineering approaches for speeding up genetic gains. Approaches include the development of transgenic maize genotypes, use of RNA interference tools and genome editing techniques. At a time when the international development community is calling for more emphasis on nutritious diets, the authors call for investment in biofortification research and product deployment as a way of combating malnutrition in developing countries. They conclude by highlighting the importance of integrating new and emerging technologies into breeding programs, which have the potential to revolutionize maize breeding for biofortification. The combination of a recent upswing in global hunger and uncertainties surrounding food supply due to challenges like changing climates and newly emerging crop pests and diseases, makes work to secure nutritious, dependable crop varieties for smallholder farmers more significant than ever. Biofortification is vital to improve the livelihoods of smallholder farmers and to fuel the fight to achieve international targets such as the UN Sustainable Development Goal 2: Zero Hunger by 2030. This research was facilitated through funding by the United States Agency for International Development (USAID), under the Agricultural Innovation Program (AIP) for Pakistan, and by the Higher Education Commission (HEC) of Pakistan. CIMMYT has over 40 years of experience in maize breeding for biofortification. In 2017, CIMMYT, working alongside partners, developed and deployed the world’s first biofortified zinc-enriched maize in Latin America. Alongside partners including the CGIAR Research Program on Maize (MAIZE), the International Institute of Tropical Agriculture (IITA) and HarvestPlus, CIMMYT have developed and commercialized biofortified provitamin A varieties of maize in many regions of sub-Saharan Africa including Malawi, Zambia and Zimbabwe. Consumption of such provitamin A maize varieties has been demonstrated to be as effective as a high-dose supplement at increasing vitamin A stores.